Militia found out that Slyusarchuk worked in the Cabinet of Ministers at the post of adviser of first Vice Prime Minister O. Turchynov from December 2009 till March 2010. 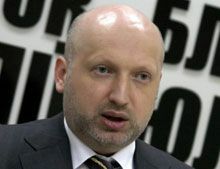 First Deputy Head of the Batkivshchyna party, head of the electoral headquarters of the United opposition Oleksandr Turchynov was summoned to the investigatory department of the Interior Ministry of Ukraine for carry out an interrogation concerning investigation of the criminal case against Andriy Slyusarchuk, known as “Doctor Pi”. The Public Relations Department of the Interior Ministry of Ukraine disclosed this to UNIAN.